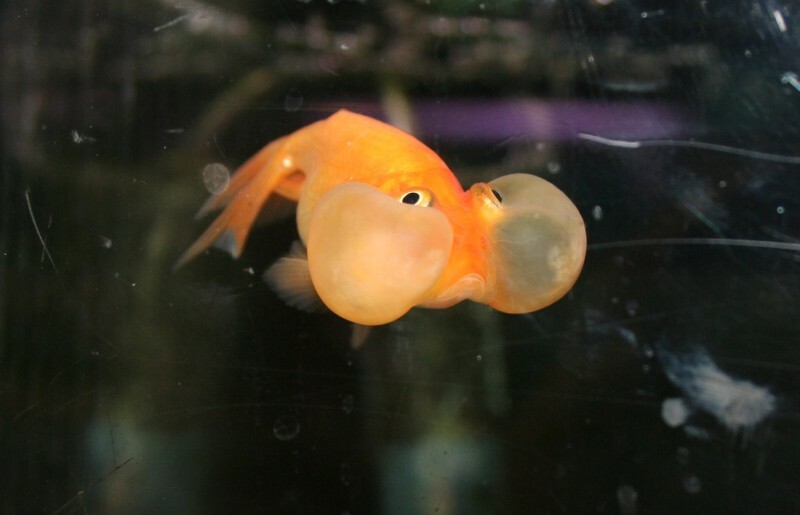 Thanks to slacy, I found out the weird fish I saw last week was a Bubble Eye Goldfish. Kimi, Sammy and I went back on Sunday to confirm. Now I want to know all about them. Here’s a start. Apparently that’s fluid inside those bubbles and not (as I thought) air. This entry was posted by Stephen on Sunday, February 18th, 2007 at 9:33 pm	and is filed under fish, photography. You can follow any responses to this entry through the RSS 2.0 feed. You can leave a response, or trackback from your own site. lol omg the fish is so cute.